Faced with the nuclear crisis in Japan, governments around the world are confronting the vulnerabilities of their nuclear energy programs. 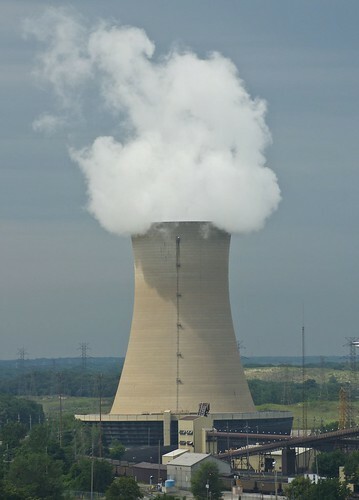 And while some European countries, such as Germany and France, are already considering more stringent safety measures--or backing off of nuclear development altogether--in the United States, the Obama administration is pushing forward with plans for increased nuclear energy production. Ultimately, these questions are the same that the country faced after last summer's Gulf Coast oil spill. As we search for more and more clever ways to fill our energy needs, can we write off the risk of disaster? Or are these large-scale catastrophes so inevitable that the only option is to stop pursuing the policies that lead to them? Even if you get away from the safety issue, which is obviously front and centre right now because of what's happening in Japan, and you look at solutions to climate change, then nuclear energy takes way too long to build, reactors take years to come online, they're wildly expensive. Most of the burden of the cost will fall on the U.S. taxpayer in this country, so why go there?...The possibility of it going radically wrong, the outcome is so awful that morally you can't justify it. The reliability of nuclear power is practically zero in an emergency when you have this confluence of natural disasters. And, as Maureen Nandini Mitra writes at Earth Island Journal, there are plenty of nuclear plants that are at risk. "More than 100 of the world's reactors are already sited in areas of high seismic activity," she reports. "And what's happening in Japan makes one thing clear – we have absolutely no idea if any of these plants are actually capable of withstanding unprecedented natural disasters." Nuclear power is part of the "clean energy standard" that Obama outlined in his State of the Union speech in January. And in the 2011 budget, the administration called for a three-fold increase in federal loan guarantees for new nuclear power plants, from the $18.5 billion that Congress has already approved to $54.5 billion. "We are aggressively pursuing nuclear energy," said Energy Secretary Steven Chu in February 2010 as he unveiled the budget....In Monday's White House press briefing, press secretary Jay Carney said that nuclear energy "remains a part of the president's overall energy plan." It'd be reassuring if the U.S. government could promise that our superior safety standards would overcome these dangers. But, as Mother Jones' Sheppard writes, the day before the earthquake in Japan, the Nuclear Regulatory Commission extended the life a Vermont plant using this very design, over the objections of the state's legislature.